It's been quiet round here for a few weeks while I've been on the beginnings of maternity leave. Well I finally have news for you: I gave birth to my second daughter last week! She is amazing, and I'm enjoying lots of precious newborn cuddles. Having already had two babies, I know that the snuggly sleepy phase won't last long, so excuse me while I go and spend some more time just gazing at her. Happy knitting (I've managed a whole two inches of baby sleeve since she arrived!). Is summer over already? As I stare out of the window at the falling rain I'm starting to think it might be! Even if it's not, August is a good time to start thinking about winter knits, and my latest pattern: Triangulation hat and mitts might be just what you're looking for. I've always been a fan of simple geometric patterns, and spent hours colouring books full of them when I was little. Now I like to knit them, and find their repetitive nature meditative to knit. 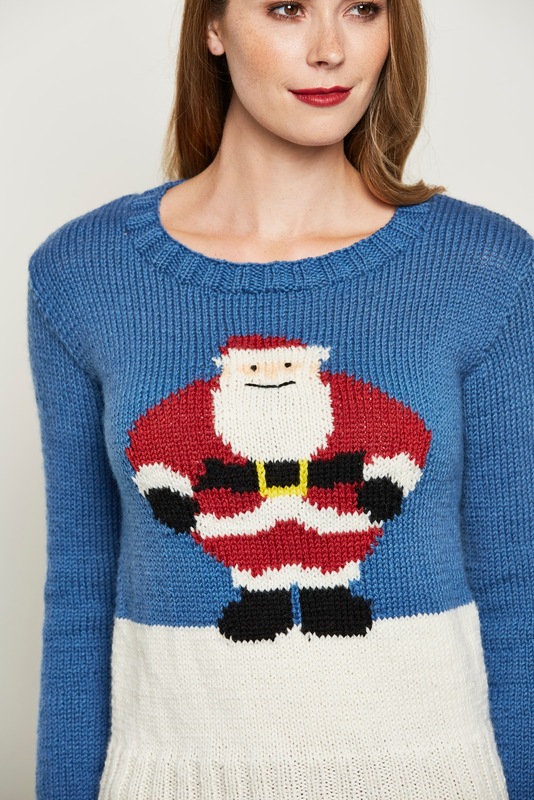 Add a bright contrast pop and you have a real stand-out item of knitwear! The hat is knitted in the round from the bottom up, starting with a section of ribbing that is folded back on itself (perfect for keeping your ears cosy when the cold weather arrives). The main body of the hat is knitted using stranded colourwork, and the colourwork pattern is continued right into the crown decreases. The hat pattern is written for 3 adult sizes, and is designed to fit as a beanie with 2.5 cm negative ease. 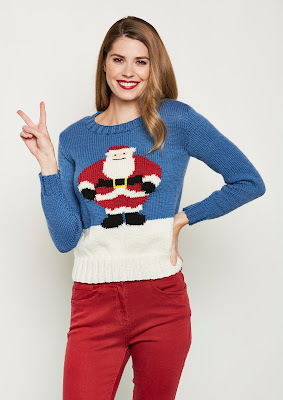 The pattern contains instructions for both the hat and mitts. The mitts are knitted in the round from the cuff up, starting with a deep ribbed section, then the main mitt is knitted in the same colourwork pattern as the hat. The thumbs are added using the afterthought method with waste yarn added during the knitting of the mitt. The mitt is finished with a ribbed cuff that can be folded back on itself or worn unfolded for extra warmth. 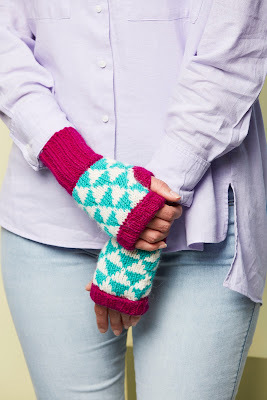 The mitts is written for 4 adult sizes, each with 1 cm negative ease. One of the things I enjoyed most about this project was the yarn. The hat and mitts are both knitted using Find Me Knitting Mary, a beautiful light aran alpaca/wool blend in deep saturated colours. I had originally planned to knit the set using the green for the ribbing and the pink as the second colour for the colourwork, but after a couple of swatches had changed my mind as the yarn seemed to request to be the other way round. All the items in the set can be knitted quite quickly, making them great for gift knitting (I'm planning on knitting a hat for a friend for Christmas). 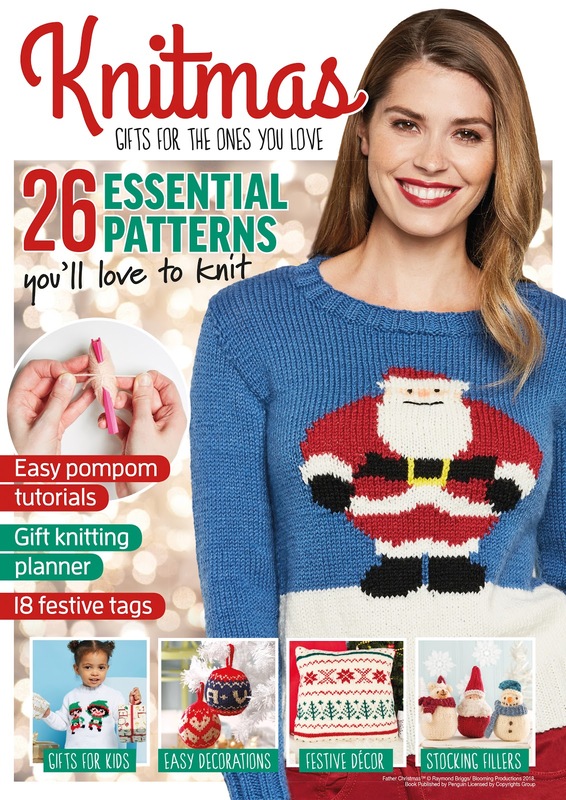 Want to get your hands on the pattern? 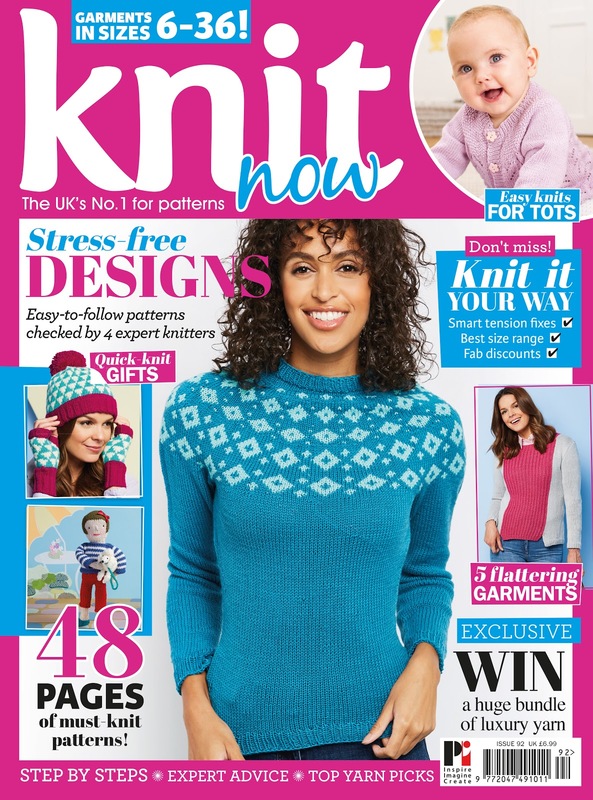 They can be found in Issue 92 of Knit Now magazine, which is available in the UK today, or can be ordered online via the More Mags website. Hello! I hope this finds you well. Some of you may know that I am really not far off having a baby, so for the foreseeable future I will be on maternity leave and things are going to be a little quieter than usual around here. I'll be back some time in the new year with new designs. Until then, happy knitting! 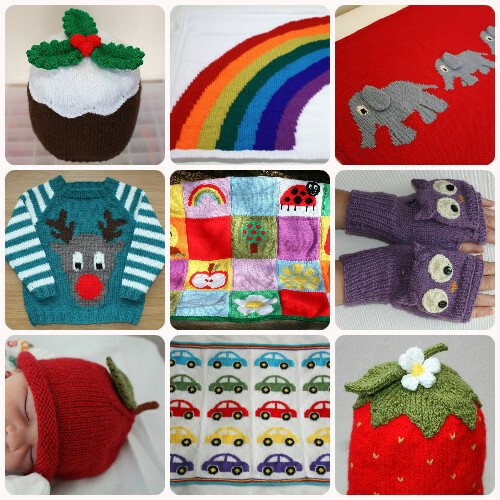 *Remember, if you buy 4 individual patterns from my Ravelry store, you'll get the cheapest one free. 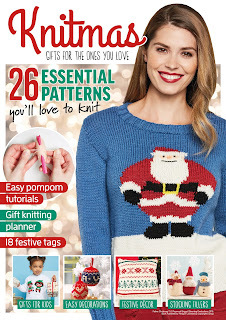 Just add the patterns to your basket and the discount will be applied when you check out. Narwhals are my favourite of the 'mythical' beasts, mostly because they are real - I love that they are so implausible! My celebration of the narwhal, the Unicorn of the Sea Sweater, which features a cheeky-looking narwhal, was released via I Like Knitting magazine, and is now available as an individual pattern from my Ravelry store. 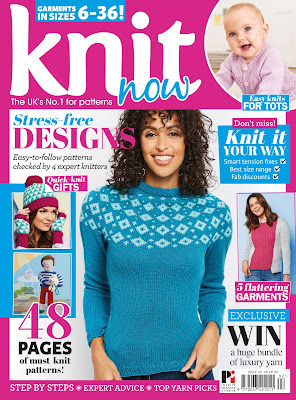 The jumper is knitted in Stylecraft Life DK,* which is one of my favourite basic yarns. The yarn is 75% acrylic and 25% wool, and is machine washable, so you don't need to be precious about the jumper getting washed and worn over and over again. The Unicorn of the sea jumper pattern is available now from my Ravelry store, and from now until 11.59pm BST, Saturday 25th August 2018 you can have 25% off the pattern, no code needed. **Yes, I have added an extra size compared to the magazine pattern, perfect for slightly larger narwhal lovers! It's been ages since I wrote a Yarn Along post, so hello! How have you all been? I really haven't had much time to read recently - I've been preparing for our new arrival mostly by doing a lot of laundry, almost always on the days when it's decided to rain unexpectedly, and getting a few things down from the loft - but am really enjoying the current book I'm reading: The Lido by Libby Page. The book is about a local reporter (Kate) who is asked to write about a community lido that is closing in the near future to be replaced by tennis courts for a private development. Kate hasn't come across the lido before, but soon falls in love with the lido and the community that surrounds it, and sets about making it her mission to save the lido. This book came highly recommended to me, and I think I'm the fourth or fifth person to read the copy I'm reading. I'll be passing it on to a friend once I'm done, and would really recommend it too if you're after a light but thought-provoking read. "What's on the needles at the minute? ", I hear you ask. Well, lots of things, sort of. The second blanket for my twin nieces is still a WIP, as it's been too hot to contemplate working with chunky-weight yarn, but now the weather is a little cooler I really ought to get on with it (especially as while I am confident I can knit while feeding a baby, intarsia is a whole other kettle of fish. It is further on than this picture suggests - I have completed the first row of bunnies). I've just finished a Wonder Woman Wrap (by Carissa Browning), which I sped through and enjoyed immensely. 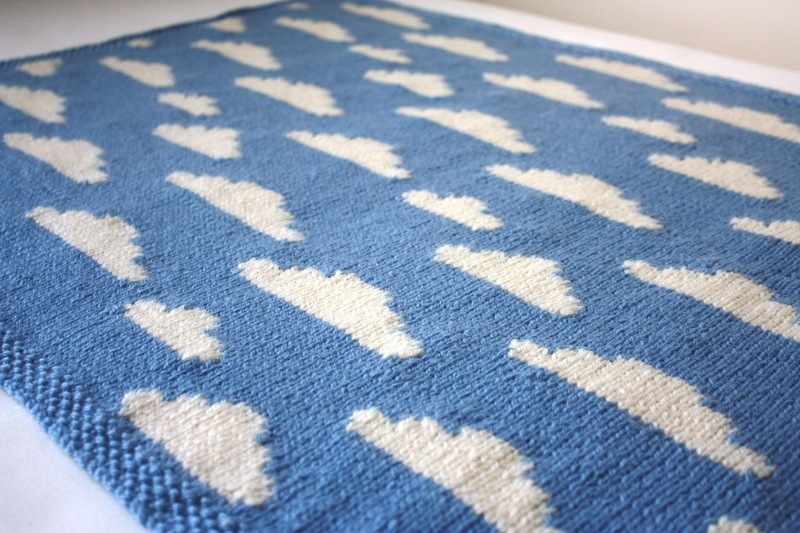 The project was an absolute joy - the perfect combination of mindless garter stitch and beautiful short rows. I loved how intuitive I found the construction, and the beautiful yarn was a bonus. I still need to darn the ends in, which I would have done earlier in the week, but was hampered by having mislaid every single appropriate sewing needle. I have no idea where any of them have gone, so bought two new packets at the weekend. I shall probably mislay those too within a week. The final commission before maternity leave went in the post yesterday, and I'm pleased that all my deadline knitting is off the needles. There are a couple of self-published designs I would love to have finished before maternity leave, but sometimes I have to admit that I may have over-stretched myself and take a step back. The other projects I'm enjoying at the minute are socks. I'm knitting a pair for my daughter, and have a pair for the Yarndale sock line on the go too (they're the socks in the photo with the book - it's a very worthy cause if you can knit up a pair by the end of the month; if the end of the month is too soon for you, but you fancy doing some charity knitting you could knit a pair for the Flower Power Fund; those socks are needed in time for Christmas. I plan to knit a pair in last year's colourway as I ran out of time last year). The Marathon sock KAL is still ongoing in my Ravelry group,* and we're nearly there, which is so exciting! I was expecting it to take much longer, so am really pleased that it looks like we'll be done by the end of September at the latest. What have you been working on recently? And do you have any easy sleep-deprived-appropriate reading to recommend? *This is a ravelry link. You need to be logged in to Ravelry for it to work. Membership is free.